We take pride in the knowledge that we can offer training, advice and guidance based on over 60 years of professional experience in the music industry collectively alongside academics who have taught in further and higher education, teaching all aspects of music production and culture, and its applications in ‘real world’ situations. Each of our lecturers and guest speakers is very active in the music industry as artists, DJs, promoters and label owners. 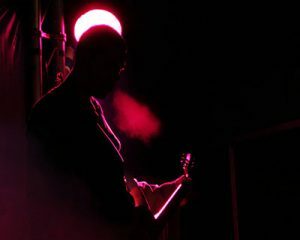 We believe in order to get the most out of an Education & Bass programme that there should be opportunities for each learner to be able to apply the techniques, tricks and guidance delivered to them straight away within their music production and writing. 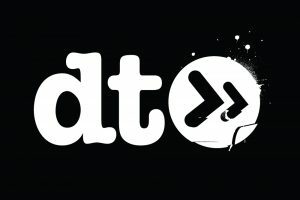 The Taster Day will present music production techniques and guidance in the following genres – drum and bass, jungle, dubstep, grime, techno and electro, led by academics, industry specialists, and Innovators in their fields including Digital and Nomine. 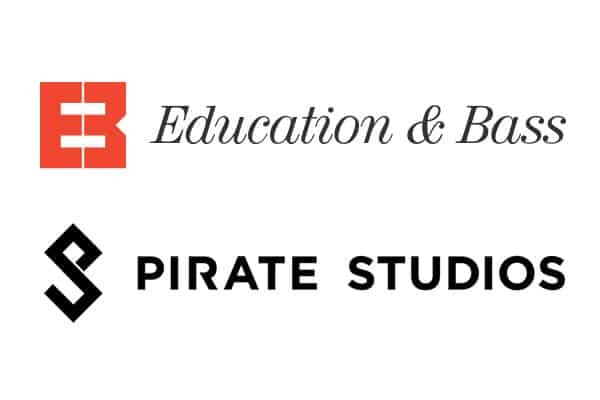 The day will consist of a series of workshops, talks and demonstrations to present what Education & Bass and Pirate Studios can offer prospective learners on the 3 month Music Production Fundamentals course. Learners will be introduced to two integral aspects of electronic music production – the concept of The Boiling Pot and Workflow. Learners will have the opportunity to speak to Education & Bass tutors about all aspects of electronic music, course content and materials, and discover interesting and new techniques for music production and recording. Each learner will receive 9 hours contact time face-to-face with E&B tutors spread over three half-day sessions, one session per month. Each session will consist of learning objectives and outcomes delivered via practical guided workshops, lectures and listening sessions. Learners will be given learning objectives set as course work to be undertaken as self-guided learning via the Education & Bass website. Each month 10 hours of specific content relating to the learning objectives and outcomes set will be provided for the learners, in order to build on their learning from the sessions. Learners will be able to access an online guidance session delivered by E&B tutors, once a month, to support the learning objectives and outcomes. There will be a live event at the end of the course on June 30th @ The Black Swan in Bristol with an Allstar lineup across a variety of genres. You too could take part as a DJ/performer! Why choose Education & Bass? Learners can engage with tutors face-to-face during event days but also access a wide and expansive range of online learning, giving each learner the opportunity to work at their own pace. While enrolled on a course additional online guidance is provided in the form of group web chats or, at additional cost, one-to-one mentoring specific to each learner. With the live events, learners get to experience hearing their music played out on a sound system either as a performer themselves or by a guest DJ. Successful candidates enrolled on all courses have the opportunity to further their career development with the Education & Bass record label as artists or industry specialists. Each course provides the learner with learning objectives and outcomes to provide a fully immersive learning experience, allowing each learner to develop into a confident, knowledgeable electronic musician or producer. Coupled with evening live events we celebrate multi-genre sound system culture as a fully immersive experience of both Education & Bass. Andrew Ferguson knows a thing or two about dance music. Since 1995, he has held down a variety of positions in the UK’s dance music community: pirate radio owner and DJ, touring DJ, producer, mail order innovator, label owner, promoter, and teacher. 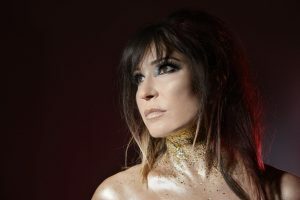 Self-taught in all aspects, Ferguson experienced the highs and lows of the music industry and left it all behind before returning in recent years with a renewed vigour and desire to simply express himself. It all begins in 1995, when Ferguson, enamoured with jungle and the emerging drum & bass sound, takes on the name Rage and sets up his own pirate station in Bedford, Shock FM. The decision quickly leads him to start touring the UK and at 16 he leaves school behind to focus on a budding career. He supplements his touring by founding a mail order promo company, Jungle Lix, which then becomes Connections. The idea finds a receptive audience and soon enough Ferguson is handling classic drum & bass releases, including all the early Bad Company, Renegade Hardware, Metro and V Recordings catalogues, feeding the growing international demand for exclusive 12”s. 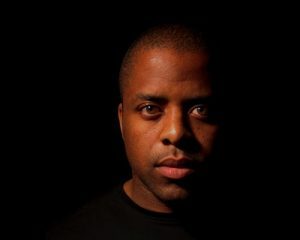 By 1999, Ferguson is embedded in the London scene, touring internationally, DJing on Rinse FM, and a regular at the legendary Music House, where producers and DJs cut their dubplates. It’s there that DJ Fresh, of Bad Company, advises the young Ferguson to carefully choose what aspect of his career to pursue. As a result, Ferguson moves to concentrate on DJing and production, landing his first release on L-Double’s Flex imprint in 1999 before beginning a life long friendship with AMIT, another upcoming artist at the time, under the name Tronic & Rage. In 2001, Ferguson decides to rename himself Outrage following a conversation at a rave with MC Rage where the pair agreed there were no benefits in confusing audiences. For the next ten years, Ferguson continues to embed himself deep in the drum & bass scene, which at this time is expanding globally. Thanks to support from Digital and Spirit, he lands releases on Goldie’s Metalheadz label, including the acclaimend ‘Patients’ which Goldie secured on a 4am call after hearing the track in the dance. The success of his work sends him on multiple world tours. By 2007, Ferguson decides to relocate to Thailand feeling the strain from a life on the road. 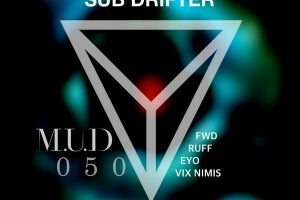 In the following years, he sets up the J-Tek label with Digital, Modular, Ratty & Tango, and Randall dedicated to a slower “jungle techno sound” that harks back to the early days of the music with a blend of 4/4 rhythms and syncopated breakbeats. 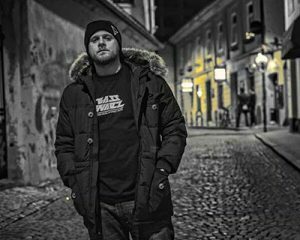 Timing is everything in music, and unfortunately the J-Tek sound arrives just as the drum & bass establishment entrenches itself in light of the rise of dubstep, which operates at the same 140bpm as J-Tek. Unwilling to fight, the crew decide to fold J-Tek and Ferguson expands beyond drum & bass with an appearance on Bill Laswell’s experimental album Inamorata alongside the likes of Herbie Hancock, AMIT, Toshinori Kondo, and John Zorn. Between 2008 and 2011, when he retires the Outrage alias, Ferguson releases the Red Letter album with Digital on Function Records and spends time in the USA before returning to the UK to host Temah, a regular sunday night session at Brixton's (now defunct) Plan B alongside old and new names from the drum & bass world. After 15 years in the game, Ferguson chooses to step away from the hustle, egos, and direction of the music he had made his life. He begins to write tracks at 140bpm for his own enjoyment, with no commercial purpose. But life had different ideas for Ferguson and a year after his quiet retirement, in 2012, a trio of events unfold over a week: he is accepted for a Master’s degree at Bedford University, despite his lack of qualifications; the university offers him a job teaching its Live/DJ course and, after finishing his Master’s, he becomes its Advanced Music Production lecturer; finally, the music scene comes knocking back after Youngsta hears one of his new productions through AMIT. 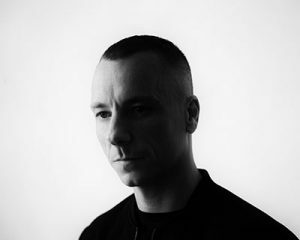 Ferguson chooses Nomine as his new alias (adapted from the Latin expression Sine Nomine, without a name) and signs to the legendary Tempa label. 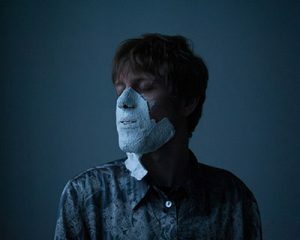 Having learnt his fair share of lessons, and with a renewed interest in production, Ferguson decides to revel in the anonymity of his newfound position. He releases five sell out EPs as Nomine on Tempa and one for AMIT’s Amar imprint, culminating in a debut album on Tempa, 2015’s Inside Nomine. Pulling from his extensive experience, Ferguson fashions a sharp sound as Nomine that straddles the techno, dubstep, and drum & bass worlds. Following the release of the debut Nomine album, Ferguson set off on yet another world tour and decided to reveal his identity. In 2016, he continues his journey launching his new label, Nomine Sound, twenty years after he first set up a transmitter in his home and broadcast his love and passion of music to anyone who would hear it.